CHARLESTON, WV— Today, on WV MetroNews’ Talkline with Hoppy Kercheval, new polling data was released showing U.S. 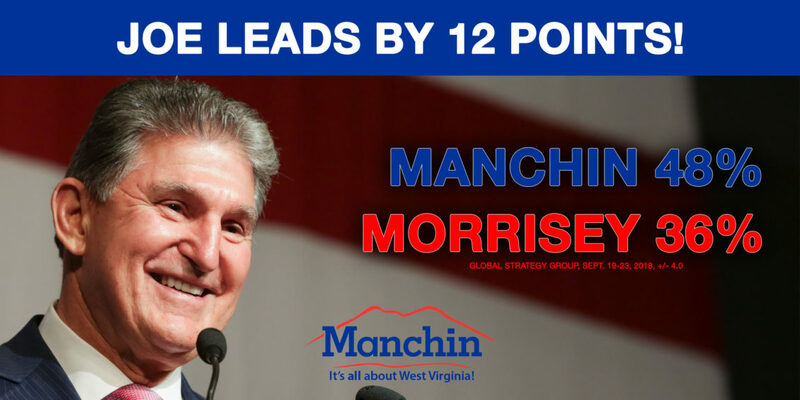 Senator Joe Manchin with a commanding lead over Patrick Morrisey. These poll results mirror recent public polling that shows Manchin leading by double digits. Poll Details: The results of this statewide survey, conducted by telephone calling both land lines and cell phones, has a margin of error of +/-4.0%. Care has been taken to ensure the geographic and demographic divisions of the expected electorate are properly represented based on past voter turnout statistics. 601 interviews were completed.